Instagram is free fun. And, since you’re never too old to have fun, why not check it out? 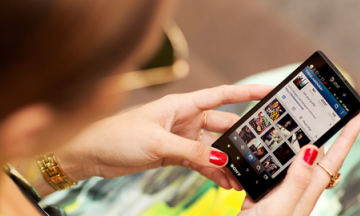 It’s a social networking app for sharing photos and videos from your smartphone. Yes, the demographics still skew younger, but so did Facebook in the early days. Currently 87% of all American adults age 50-64 are online; 72% of that group is on Facebook and 18% uses Instagram. For the 65+ crowd, 66% use the Internet. Of them 62% are on Facebook and 8% use Instagram. But what’s the joy of finally being over 50 if not to say who cares who else is doing it? Is there something Instagram can do for you that would meet your real life objectives? Are you a fashion designer, stylist, or lifestyle blogger? #fashion is one of the top 30 hashtags on Instagram, so it’s a good place to be. For photographers it’s a no-brainer. The photography on Instagram is crazy good. For business owners and professionals, a branded Instagram account can help increase your visibility online. And there’s always the same reason that prompted many to join Facebook: to see photos of your adult children and grandchildren—59% of Internet users ages 18-29 and 33% of Internet users 30-49 are on Instagram. It’s another way to connect because no one calls or leaves voice messages anymore (so 90’s!). And that’s okay. Want to connect with kids and grandkids? Enter their world. I created an Instagram account (@InterculturalTalk) a few years ago at age 52 because a clearly much older client (53!) was interested. I was already using Facebook, Twitter and LinkedIn for marketing, and this was one more tool. So I did what any smart older adult does when trying to stay hip and relevant in today’s ever changing communications field: I asked a young person. Sid, a soon to graduate and take over the world MBA student, got me up and running, explained hashtags, and I was good to go. While I didn’t do much with my own profile after that, I started noticing prompts, both in Facebook and Instagram (the former owns the latter) saying things like “Your friend LizzyS is on Instagram, want to follow her?” Once I got over the eerie feeling of my phone knowing who my friends were, I realized while I was waffling on the periphery, everyone else was joining in. John Curran, 53 (@coolerbydalake) says Instagram is his favorite social platform. “It is more image/photo focused so I see the creativity of my friends surface thoughtfully. It also stretches my creative wings, especially when I travel and see new things!” Curran, who is VP, General Manager at Big Bus Tours and former VP of Marketing for the Magnificent Mile Association (Chicago’s famous Michigan Ave.) says the basics of Instagram were easy to learn. At our age we’re proud of how we look and we find so many things funny. So maybe Instagram is a little self-absorbed. It was voted by college students as the social media platform with the most narcissists. But, what the heck—at our age we’re proud of how we look and we find so many things funny. We also realize, looking back on all of those photos of times when we thought we were too fat or too this or too that…we looked damn good. Now’s the time to post all those amazing and wonderful images of you feeling comfortable in your own skin, sharing the things you’ve learned and the beauty and miracles you see in the world. 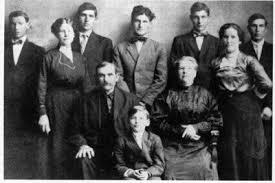 And, as an added benefit, at least you will know where to find all of your photos! Deanna Shoss is CEO of Intercultural Talk, Inc. which provides Digital, Intercultural & Real World Marketing for non-digital natives–entrepreneurs, dreamers and business owners age 50+ who didn’t grow up with technology and who won’t grow old without it. 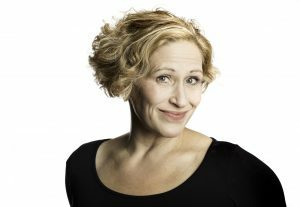 She’s also a writer, professional speaker and certified aerobics and Body Pump instructor. 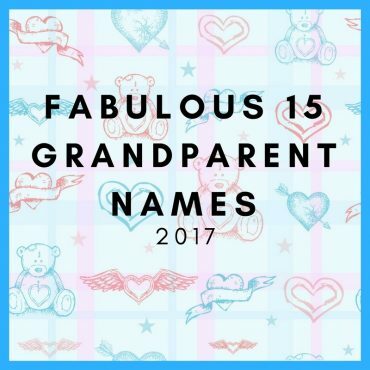 Fabulous 15 GRANDparent Names Combos!